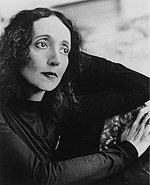 Prolific writer and Syracuse University alumna Joyce Carol Oates ’60, H’00 will deliver a lecture as part of the University’s brand new Orange Central celebration, which combines the rich tradition of Homecoming+Reunion with new events. The lecture will take place on Friday, Oct. 2, at 10 a.m. in the Joyce Hergenhan Auditorium in Newhouse 3. Oates will offer selected readings and commentary, followed by a Q&A session with the audience. The event is free and open to the public; no tickets are required. Paid parking is available in any SU pay lot. The Roger S. Berlind Distinguished Professor of Humanities at Princeton University, Oates is considered to be one of America’s most versatile writers. Her works include novels, short stories, poetry, plays, essays and book reviews, as well as nonfiction on literary subjects ranging from the poetry of Emily Dickinson and fiction of Dostoyevsky, to studies of the gothic and horror genres. Growing up in upstate New York, Oates had a precocious interest in books and writing. At the age of 19, she won a short story contest sponsored by Mademoiselle. In 1960, she graduated from SU with a degree in English. Following graduate school, Oates taught at the University of Detroit, where she witnessed social turmoil engulfing America’s cities in the 1960s, which influenced her early fiction, including first novel, “With Shuddering Fall” (Vanguard, 1964), published when she was 28. In the following decade, Oates published new books while teaching full time at the University of Windsor. In the early 1980s, she wrote a series of novels, beginning with “Bellefleur” (Penguin, 1980), in which she reinvented the conventions of gothic fiction, reimagining stretches of American history. Later, she returned to the realistic style with a series of family chronicles, including “You Must Remember This” (Dutton Adult, 1987), which created a fictional world mirroring the ambiguity and real world experience of the time. Her work has earned numerous accolades, including many citing a lifetime of literary achievement. She is the recipient of a Guggenheim Fellowship and the O. Henry Prize for Continued Achievement in the Short Story. In 1999, she received her third Nobel Prize nomination. Her novel “Them” (Vanguard, 1969) received the National Book Award. Oates lives and writes in Princeton, N.J. Her newest work, “Dear Husband” (Ecco, 2009), is a collection of stories reimagining the meaning of family.